Two men who allegedly assaulted a woman with a penknife in Jurong West were arrested on Monday (Nov 19) after a four-hour stand-off with the police. The police said in a statement on Tuesday night that they were alerted to a case of assault at a bus stop near Block 501 Jurong West Street 51 at about 2.45pm that day. The woman suffered facial injuries and lacerations on her arms and was taken to the hospital. She said the two men attacked her with a penknife. The attackers has already fled the scene when police arrived. 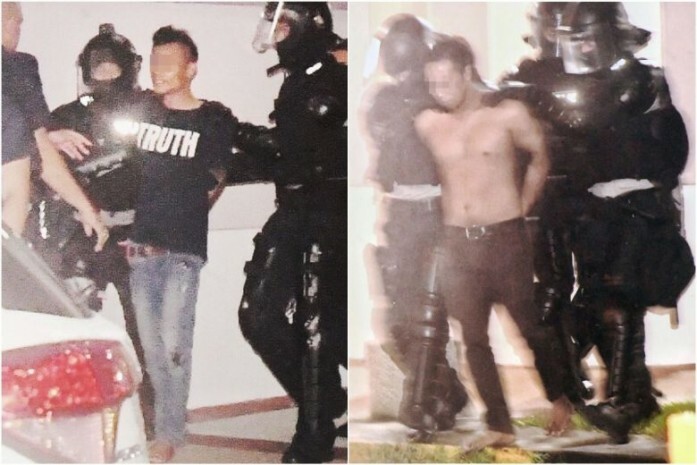 However, officers from the Jurong Police Division manage to identify the two men through the use of police camera images and ground inquiries. The men, both aged 30, were arrested at about 9pm on that day with the help of Special Operations Command officers. The stand-off happened when the pair refused to open the door of their flat when police arrived. But it came to an end when a locksmith was able to help officers gain access to the unit. A knife was seized in relation to the case. If they are found guilty of voluntarily causing hurt with a dangerous weapon, the men may each face a jail term of up to seven years, a fine, caning, or any combination of such punishments.